Please note: Dr. Upton is answering as an individual allergist and her answers do not constitute an official position of her affiliated organizations. Her responses are for informational purposes only and are not meant to be specific medical advice, recommendations, diagnosis, or treatment. Please talk to your doctor about any concerns or questions you may have regarding your own health or the health of your child. 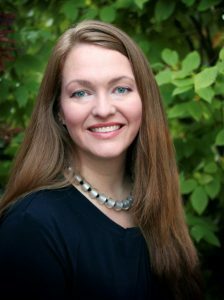 This month she answers your questions about when to use epinephrine and what “may contain” warnings mean. Q: My son was diagnosed a year ago with a tree nut allergy. Since then we’ve had two appointments with our allergist. On both occasions I’ve asked him the same question: Should I give my son the EpiPen® as soon as he ingests a tree nut? On our first visit he said “Yes, give the EpiPen as soon as he ingests”. On the second visit he told me it was a ‘judgement call’. Can you tell me the correct answer? A: The epinephrine auto-injector is intended for anaphylaxis. The difficulty is that it can be hard to predict which accidental exposure will lead to anaphylaxis and which will not. An anaphylaxis action plan that incorporates your child’s specific risks can be helpful. For example, if a child has had very severe reactions in the past, or has asthma, then a physician may recommend a very low threshold to use epinephrine. When in doubt about whether or not to use epinephrine for a reaction, err on the side of caution and give it – epinephrine is life-saving medication, there is very little downside to giving it. Learn more about anaphylaxis, when to use epinephrine, and an anaphylaxis emergency plan. Q: As a teacher, there are always a few students in my class with peanut allergies. 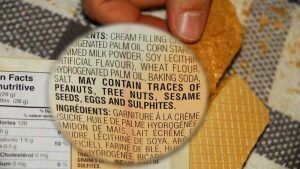 Is it true that if products that are labelled as “May contain peanuts” are consumed by someone who has a peanut allergy, that although a reaction may not occur, the allergy does become worse with time? A: There is no evidence I am aware of that eating a product with a “may contain” warning would worsen the allergy over time. However, Food Allergy Canada recommends that individuals with food allergies do not eat food with precautionary or advisory statements, such as “may contain” as researchers have found that some products with these statements actually contain enough of an allergen that may cause an allergic reaction. It’s important to know that “may contain” statements are not required or regulated by Health Canada. 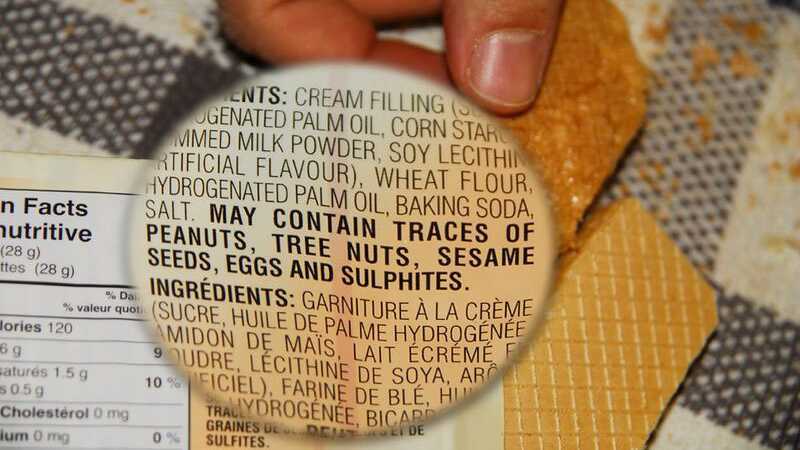 These statements are used voluntarily by some companies on pre-packaged food labels where a product may be at risk of unintentionally containing allergens due to cross-contamination with other products. Cross-contamination can occur during food processing and packaging in a facility that uses shared equipment, or through the production process, for example. If “may contain” statements are used, they are legally required to be truthful and not misleading. If you are unsure whether a product may contain an allergen, call the company to ask. Learn more about food labelling on our website.